Give your favorite little kitchen helper a fun holiday treat with this colorful apron with a full bib and large ruffle skirt. 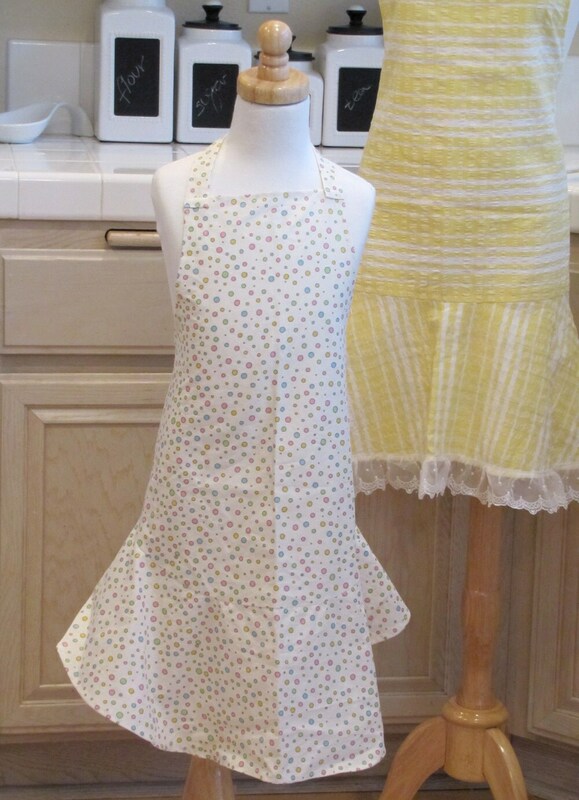 The apron is made of fabric featuring a colorful pastel polka dots on white. The apron measures about 23.5" wide and 26" long. The neck loop is 26" long and the waist ties are 28" long which should accommodate any size.